Lately I’ve visited quite a few museums. 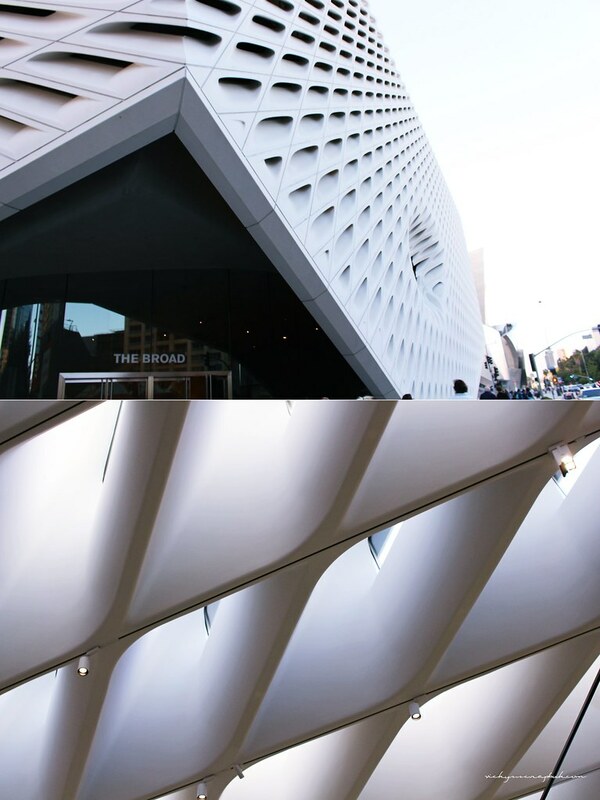 The Broad is a new contemporary art museum in downtown Los Angeles that I recently visited. I knew it was popular but I didn’t expect to wait more than an hour to get into the museum. The plus though is that it’s free admission. The architecture from the outside and the inside of the building is very unique and looks like a honeycomb. 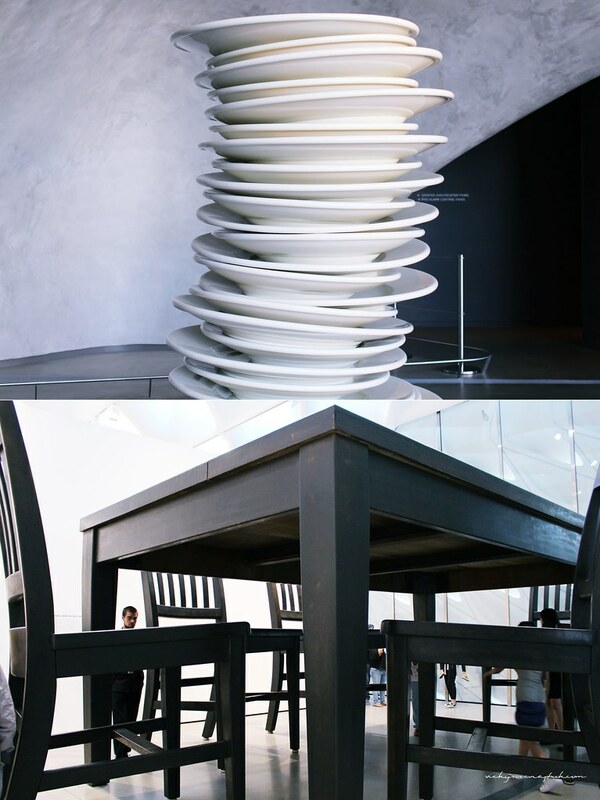 When I first entered the building, I was greeted by a massive stack of plates that was taller than most human beings. Once I got upstairs I was able to see the honeycomb like ceiling that was similar to the exterior. The gallery that day featured a lot of oversized structures such as the “Under the Table” which features a set of table and chairs. 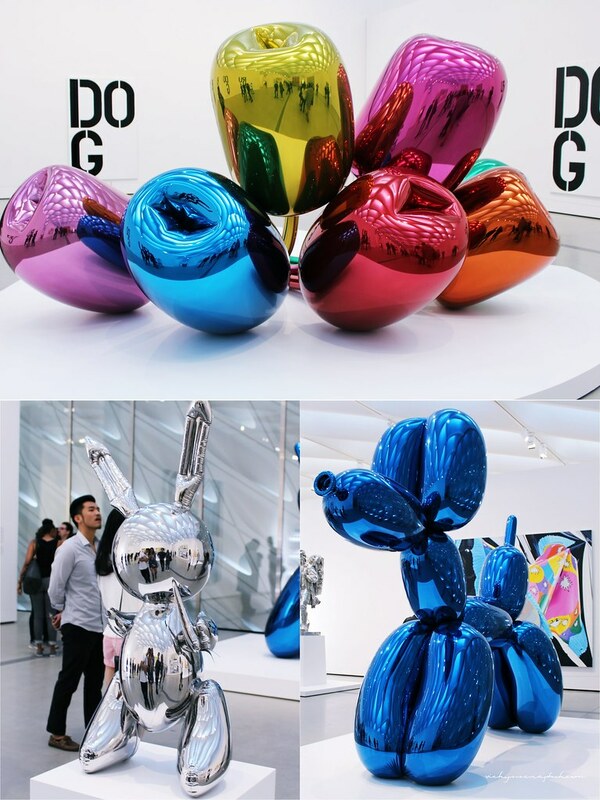 There were a lot of balloon like sculptures that were also very oversized. I was more attracted to the sculptures than the paintings but there were many paintings that were displayed as well. 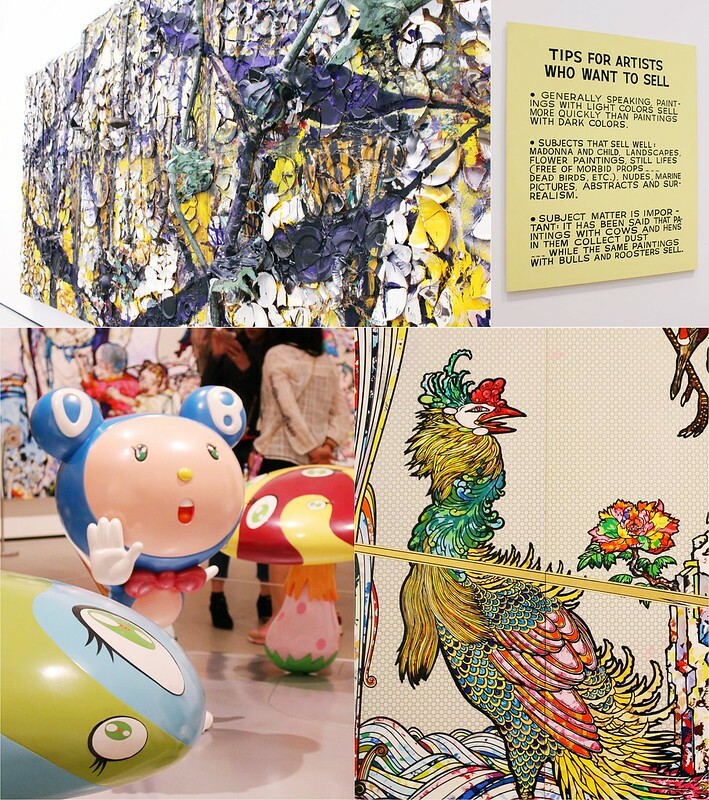 Since it was contemporary art, a lot of them were very unique and interesting (but often times pretty confusing). There were so many artwork there and so many people so I only took photos of a few. There was a certain hype for this museum and if you were excited about the exhibitions here, it might be a little underwhelming. I was slightly disappointed that the wait for the Yayoi Kusama’s Infinity Mirrored Room exhibition was too long and we weren’t able to see it. But other than the exhibition, I didn’t expect much when we decided to visit so it was ok for me and was a pleasant experience. Do you like visiting museums in your area? Haha I really liked the mushrooms too. I love the sculptures; they look amazing. What a great contemporary museum. I added this on my bucket list. Love your blog!